Crestview Building Technologies’ goal is to provide safe, efficient production. As part of The Crestview Group, we are fully committed to ensuring that practical and effective measures are in place to protect the health and safety of our employees, customers, contractors and the public. As part of the Crestview Group, it is our policy to provide and maintain safe working conditions contributing to efficient and profitable operations. Safety is everyone’s business and every employee is responsible for his or her own safety, as well as the safety of others. 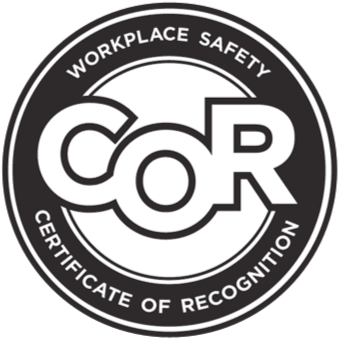 Adherence to the Crestview Group's Safety Program, as well as relevant Occupational Health and Safety Regulations are conditions of employment. The Crestview Group will meet or exceed all Legislative requirements. All employees are First Aid/WHIMS Trained. We provide our people with ARC Flash Suits and training, ongoing training for lifts, and fall protection.